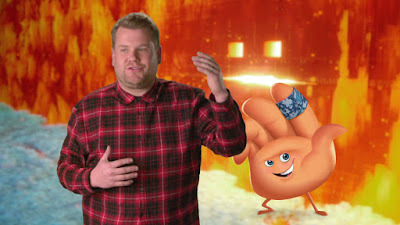 British comedian James Corden (Into the Woods) lends his voice to Hi-5, an open-face palm Emoji ready to give you a Hi-5 at any time, in Sony Pictures Animation’s new comedy The Emoji Movie. 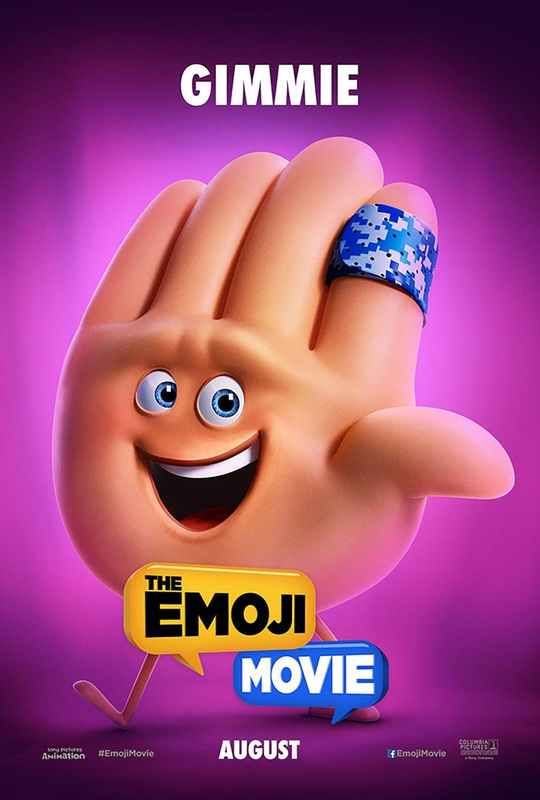 In the film, Hi-5’s a big ham, brimming over with exuberant confidence. He used to be a Favorite, a highly respected celebrity. But recently Hi-5 has been usurped by a new Favorite… Fist Bump Emoji. Hi-5 can’t stand the rejection and just wants to be popular again. But his adventure with Gene – an Emoji which has EVERY expression instead of just one -- makes Hi-5 realize that it’s more important to have one true friend than it is to be popular.